Motivated, conscientious individual with extensive experience in strategic planning, project management, organizational development and executive/technical leadership. Over twenty years of progressive information technology experience designing, developing, integrating and managing complex, real-time, distributed and embedded systems. Possess an extensive inventory of skills necessary to manage the definition, creation and sustainment of information systems in highly structured as well as unstructured environments. Exceptional leadership abilities as well as excellent interpersonal, written and verbal communication skills. To obtain a leadership position in information technology management that allows the use of my public and private sector knowledge, skills and experience to continuously improve services to internal and external customers. As Information Systems Director reporting directly to the Clerk of the Circuit Court, immediately responsible for all aspects of the automated work production operations of the Clerk’s office. Directly supervising a staff of twenty-six information systems professionals, preparing and managing a $2.3 million operating and capital budget as well as acting as the final decision authority for hardware and software selection, deployment, and training. Directly responsible for the prioritization of project efforts in the development and implementation arena as well as command and control of enterprise-wide host-based, network-based, Internet-based and personal computing resources while ensuring the security, confidentiality and availability of data and systems. Also responsible for all aspects of the initiation, negotiation, processing, and monitoring of automation-related contracts and agreements as well as automation-related enterprise capital budgeting and the automation aspects of facilities construction/renovation. Primary architect for the development and maintenance of the Master Plan for Automation, a long-range strategic plan for the development and telecommunications support for the automated operations of the Clerk's office. Chair of the Brevard County Information Systems Advisory Committee's Technical Advisory Subcommittee comprised of appointees of all Constitutional Officers in Brevard County. Represent the Clerk’s office on the Eighteenth Judicial Circuit’s Court Technology Committee and the Florida Association of Court Clerk’s Automation Roundtable. Specific executive skills – large-scale project management, change management, organizational vision and leadership to leverage technology for the advantage of the organization. As Chief Technology Officer and Manager of System Developmentreporting to the Information Management Director ofthe NASA prime contractor (and acting as the Director of the 325 member Information Management Directorate in his absence), responsible for multiple cross-functional teams that design, develop, deploy and sustain new and reengineered information and management systems for our external customers (NASA and the Air Force) as well as internal customers (Space Gateway Support Management Information Systems). Directly responsible for a staff of seventy-five information technology and business systems professionals and managing a $9.6 million budget to provide visionary and unique information technology solutions using both formalized (CMMI-Level 3 certified) and leading-edge development methodologies. Full life-cycle responsibility from oversight of system requirements specification preparation through completion of project activities (including sustaining engineering) within approved timelines and budget and in conformance with approved metrics. Identify tasks, risks, major process groups and individual personnel functions that will be required for the implementation of reengineered business process projects as well as manage and coordinate high-visibility inter and intra departmental projects using SGS, sub-contract, consulting and temporary employee resources. Specific executive skills – strategic vision and planning, aligning major information technology projects with business objectives, continuous process improvement, life-cycle budgeting and technological leadership to develop and articulate IT strategy in a clear and appropriate manner. As Director of Information Technologies reporting to the Senate President Chief of Staff, responsible for providing advice and counsel to the Senate President and other Senior Executive staff as authorized by the President. 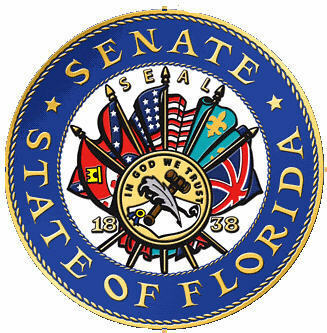 Provide technical guidance concerning IT services and clarify the IT requirements of the Florida Senate by responding to inquiries from Senators, professional Senate staff, Senate committees and offices as well as Senate support personnel, service providers and multiple consultants. Serve as the senior IT professional staff person for the Florida Senate working collaboratively with the Florida House of Representatives and joint legislative offices to ensure the effective and efficient operation of the Florida Legislature's shared IT resources. Serve as the Senate’s representative to the State of Florida, Agency Chief Information Officers Council. Responsible for the development and articulation of comprehensive Senate Information Technology strategy and direct the provision of Senate Information Technology services including planning and delivery of major IT projects, operations, and support. Establish IT management and governance structures and processes; provide contract and program management services for IT projects; develop appropriate needs assessment tools and performance measurements and recommend and oversee delivery of new information technologies to meet the business requirements of the Florida Senate. Ensure data integrity and system security in an open government environment. Ensure necessary disaster recovery procedures by recommending and implementing appropriate policies and procedures. Develop plans and strategies for IT replacement and upgrade needs. Review and recommend Senate and Legislative Information Technology budgets.